Although crime rates in America have seen a slight decline recently, this is not a sufficient reason to let your guard down. The reasons why people commit crime are as numerous as they are complex, but the most-cited and widespread causes are poverty and neglect, and on a personal level, it’s alcohol and drug abuse. Crime isn’t going to go away anytime soon, nor is there likely ever to be a city in the world that’s immune or exempt from crime – not even the Vatican City, which experienced only a short, crime-free period of just two weeks in April 2005 (i.e. when Pope John Paul II passed away and his successor was voted in). Whether you live in a bustling city or a small town, there’s always a chance of falling victim to any of a number of crimes. While you have no control over the personal motivations that prompt people to commit crimes, you can take the right steps to avoid being a victim and prepare for your self-defense. Some preppers may recommend that you carry a knife or get a permit to carry a gun, but some people aren’t comfortable with carrying either weapon. In addition, there may be times when you can’t carry them, such as if your employer doesn’t allow guns or knives at the workplace. You may also have to check with your state’s laws on carrying a knife or gun, and if it’s legal to carry concealed or out in the open. For some, the price alone of a gun can also be out of their reach. 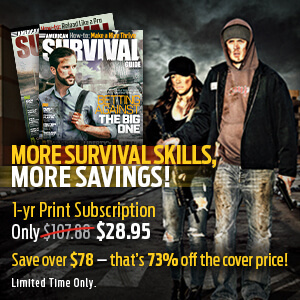 So what are the less-costly and less-restricted self-defense implements you can carry? 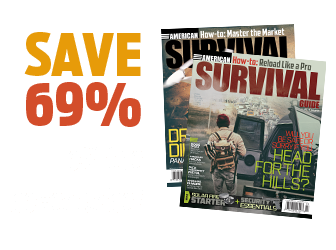 In this article, we list some self-defense alternatives to knives and guns that you can have as part of your EDC. 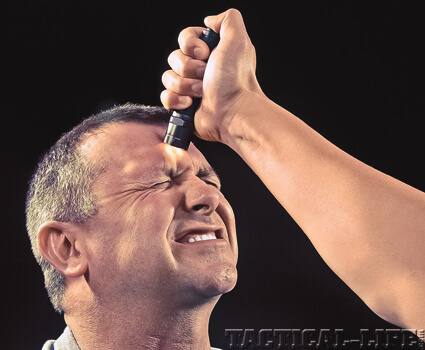 The tactical pen is a simple, no-frills self-defense implement that combines an ordinary ballpoint pen with an impact or stabbing tool. It’s literally just a pen, usually with a really tough body made of materials like lightweight aircraft aluminum; fancier models made of more expensive materials like titanium are also on the market. These self-defense tools are easily kept in your pants or shirt pocket, stowed in your bag or purse, and are usually quite inconspicuous. 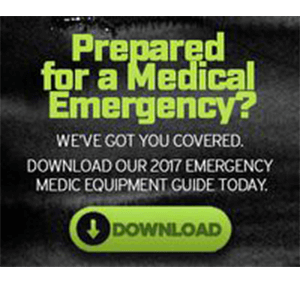 Depending on your preference, they can be retractable or used by removing a cap. Of course, they’re always useful at work and in your everyday tasks like signing invoices or making grocery lists. Tactical pens can be carried virtually anywhere but, if discovered, they’re often confiscated by airport security personnel. 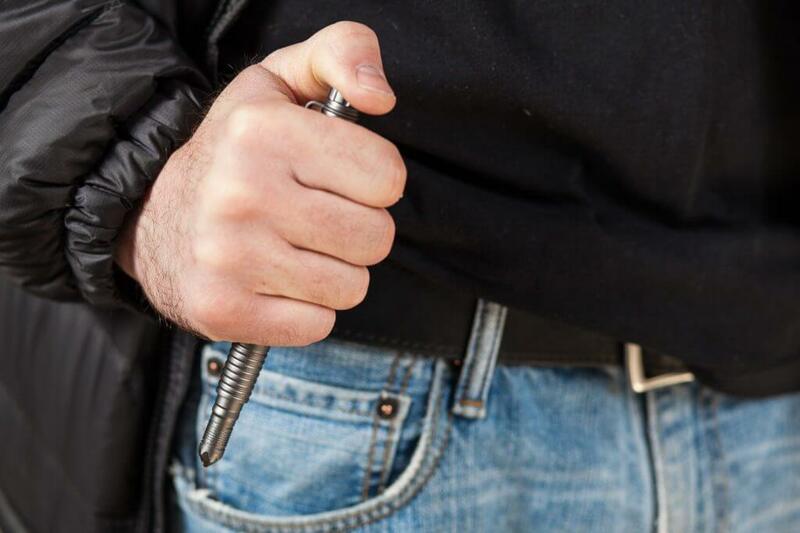 To use a tactical pen, grip it firmly with your thumb pressed behind the flat end, then jab the point as you would a knife (several times if necessary) into your attacker’s vital areas. Both very inconspicuous and useful, tactical pens are an excellent EDC defense tool. It’s no surprise that even knifemakers like CRKT and Böker produce their own line of tactical pens. This model is of the retractable type. 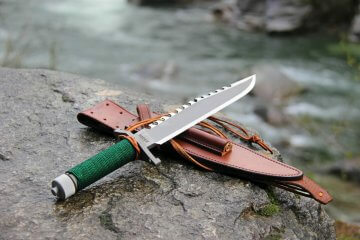 (UrbanToolHaus.com/products/crkt-williams-tactical-pen-with-fisher-space-cartridge-designed-by-james-williams-tpenwk). 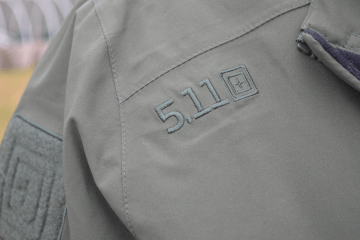 Some of the newer tactical pens have increased functionality. 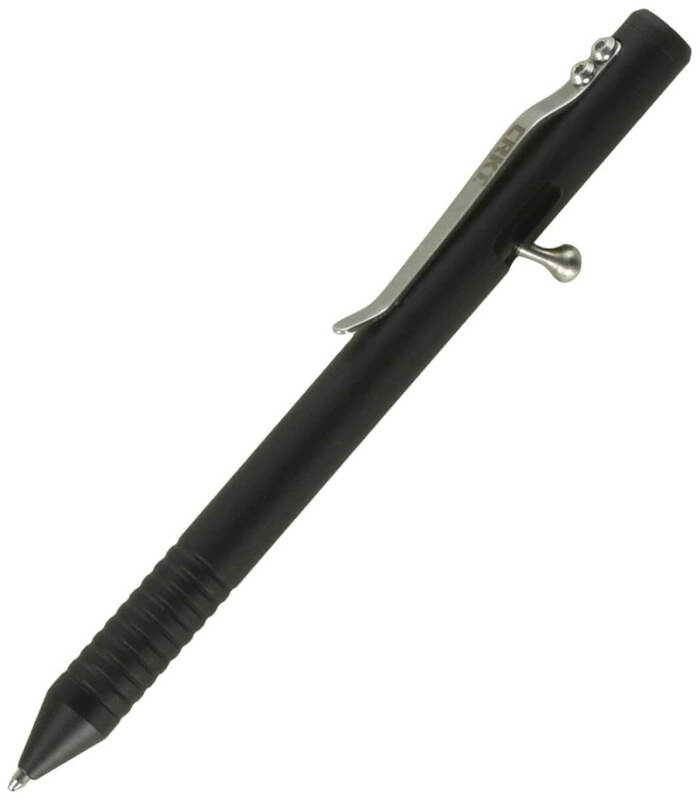 This cap-type tactical pen from Böker even has a rubber tip for use on a digital tablet (BladeHQ.com/item–Boker-Plus-TTP-Tactical-Tablet-Pen–36157). 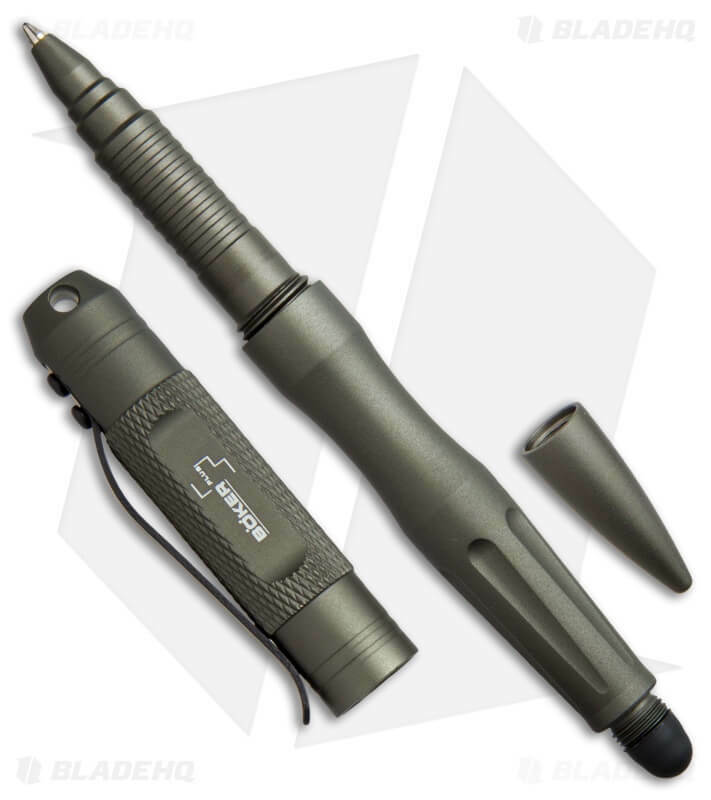 Similar to the tactical pen, the tactical flashlight combines a high-intensity light encased in a durable metal body with a strike bezel. Tactical flashlights vary in size, so choose one that easily fits in your pocket, purse or bag for EDC. These flashlights also use different types of batteries, so pick one that uses conventional AA or AAA batteries as the other battery options (e.g. CR123 lithium batteries) can be difficult to source and are more expensive. If you choose a model that’s rechargeable, remember to keep it fully-charged. An obvious use of the flashlight is to illuminate dark alleys or dark parking spaces before you get to your car; use it to reveal and momentarily blind any would-be attackers who may be lying in wait to jump you. The way you use a tactical flashlight is similar to a tactical pen; grip firmly with thumb on the tailcap, then jab at vital areas. 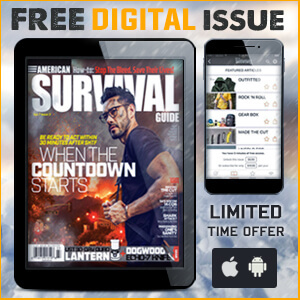 Except with a tactical flashlight, you have the added bonus of temporarily blinding your attacker with the light, while keeping your distance; after your attacker is blinded, you can hit them with the striking bezel or move to kick or punch them from their “blind” spot, or simply run away. Be sure that the tactical flashlight’s intensity rating is at least 100 lumens to be able to effectively blind your attacker. In this case, most people agree that “more is better”. 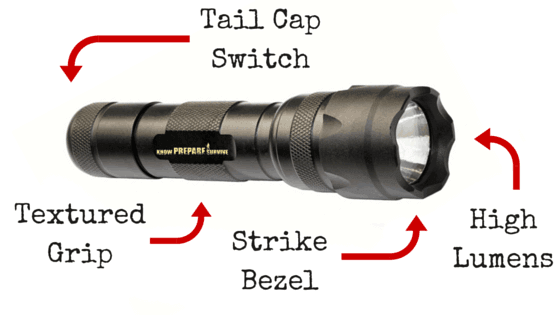 A typical tactical flashlight should have an intense beam (100+ lumens) and a striking surface known as the “strike bezel” over the lens; the body of the tactical flashlight will usually be made of a highly durable material, such as anodized aluminum (KnowPrepareSurvive.com/gear/best-tactical-flashlights-reviews/). 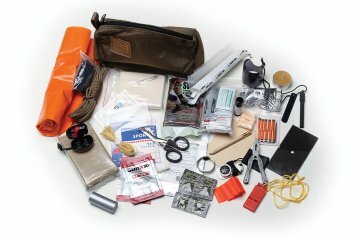 A tactical flashlight is a vital part of your self-defense EDC; you should use it to foil any would-be attackers lurking in the shadows (DefenseUnit.com/important-reasons-why-you-should-carry-a-tactical-flashlight/). Originally, the monkey fist or monkey paw was a way of tying the end of a long rope into a weighted knot, for nautical use as a mooring line. Some sailors extended its use as a melee weapon, with a spherical object at its core (e.g. a glass marble or steel ball bearing). In recent years, the monkey fist has resurfaced as an alternative self-defense tool. It’s a bludgeoning weapon similar to a sap, but with a slightly increased reach (depending on the length of cordage). 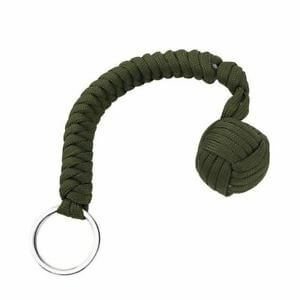 The monkey fist is comprised of a glass marble or ball bearing measuring from ¾ to 1¾ inches in diameter, tightly wrapped in a 10-inch length of braided paracord. Most monkey fists have a metal loop on the other end so they work as a keyring. The way you use the monkey fist as a defensive tool is by gripping the keys or the keyring, then flailing the monkey fist at your attacker, such that the “fist” at the end impacts them at great speed. A well-placed strike on the hand or forearm can cause serious injury. You can also whip the monkey fist to keep an attacker at bay to discourage them or put distance between you and them so you can run away. Do note that in some states, the mere act of carrying a monkey fist constitutes a misdemeanor, so check with your local laws before making a monkey fist part of your EDC. A seemingly-innocent keychain can be an effective weapon (EBay.com). Another keychain-like EDC defense tool is the kubotan, invented by Soke Takayuki Kubotan in the late 1960s. It was originally a 5½-inch piece of durable material about ½-inch thick that had six segments and a keyring on one end, and was based on a small bamboo weapon called a “hashi stick”. The kubotan was created at the request of the then-Chief of the LAPD Edward M. Davis, so female officers could have an effective tool with which to subdue suspects; the kubotan’s main purpose was to enable members of the LAPD to subdue surly suspects with strategically-applied joint locks and pressure-point strikes. This gave the kubotan the nickname “attitude adjustment instrument”. Still popular today, the kubotan has spawned many knockoffs that have flooded the market, adding gimmicky features like additional spikes, tapered ends and even a small canister of pepper spray. You can use the kubotan much like the way you use a tactical pen — as an impact tool and to apply locks and submissions; the only drawbacks to the kubotan are that you’ll have to get up close and personal to subdue your attacker, and you’ll have to learn and practice some of the advanced submission moves. 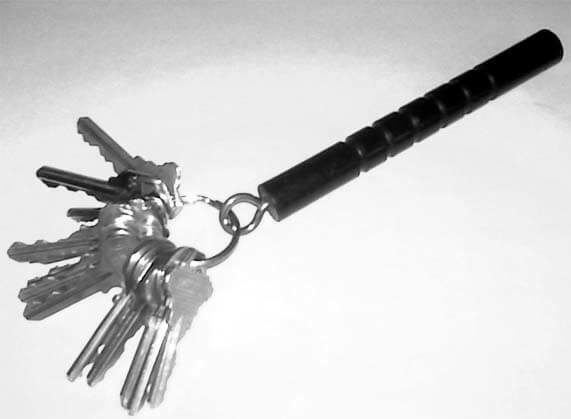 Even the simplest applications of the kubotan are downright dirty, but effective (YourHomeSecurityWatch.com/how-to-use-a-kubotan-keychain-stick-self-defence-spike/). Pepper spray is classified as a less-than-lethal weapon and is used by law enforcement officers for riot control, crowd control, self-defense and to subdue unruly suspects. Its active ingredient is a derivate from chili peppers known as capsaicin; this is what mainly causes the eye irritation, pain and temporary blindness that makes the spray a useful alternative to firearms. 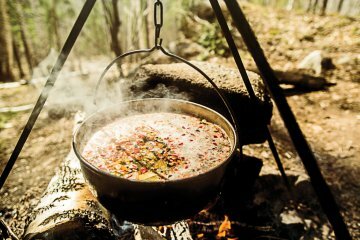 Some pepper sprays are specially formulated to deter dogs and bears (DON’T use these on humans); it generally causes inflammation of the eyes, causing them to close and result in temporary blindness, allowing would-be victims to escape. Note that pepper spray affects the mucous membranes, causing the eyes, nose, throat and lungs to swell. The effects of getting pepper-sprayed include coughing, swelling and closing of the eyes, runny nose and difficulty breathing; the duration of these effects can last from 20 to 90 minutes, depending on how long the “burst” of pepper spray was, and on the strength of its formula. The main advantage of having pepper spray as part of your defensive “bag of tricks” is that it has the least restrictions and there’s no “antidote” for it; those pepper-sprayed will have to wait for the effects to pass, and by then you can be long gone. It’s compact, affordable, legal to carry in most places and most states require only that you be 18 years of age or older to use it. There are some drawbacks to pepper spray. It is affected by the wind and can backfire if you’re not careful; you have to aim for the attacker’s eyes, which can be challenging in stressful situations; you’ll need to buy a new canister every couple of years as it has an expiration date, and you must be judicious in its use. 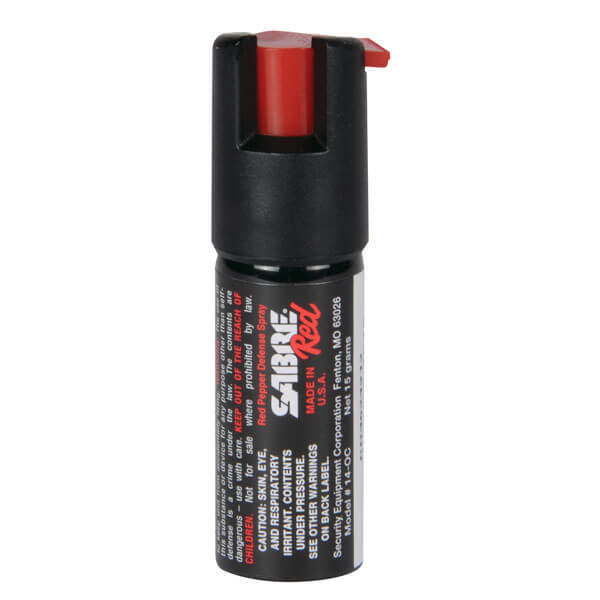 Pepper spray is available in a wide variety that includes multiple strengths, delivery of precise streams or broad “fog” patterns, ultraviolet dyes for identification by the authorities, and distracting foam that impedes the ability of the recipient to pursue you. 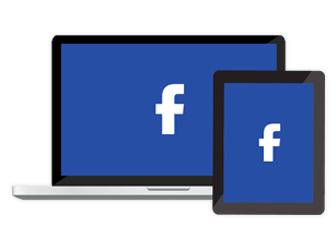 Investigate your options and choose the right product for your needs. In some cases, people are only mildly affected by pepper spray however, even if used in self-defense, pepper spray can be deadly to a person with medical issues (like asthma) and you could be the one charged with a crime if you spray them too much or cause exceptional harm. A small canister like this can go a long way in keeping any attackers at bay. And when its slogan is “Making Grown Men Cry since 1975” you just know it’s an effective EDC for self-defense (SabreRed.com/pepper-spray/compact-pepper-spray). As you can see, there are plenty of defensive alternatives to firearms and bladed weapons, and the items shown here constitute just a small sample of what you can make part of your EDC for self-defense. Many enterprising companies deliver new innovations every year, so be on the lookout for new product reviews and attend prepping expos and gun and knife shows to stay current on your options. 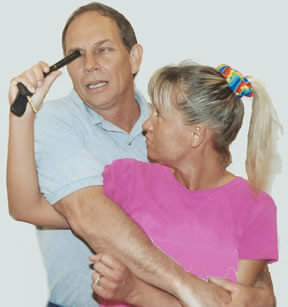 Choose the self-defense tools that are “right” for you, meaning, carry only those that give you the least hassle, are light and compact enough for you to carry and maintain every day, and suit your personal needs, skills and experience. You can add other items, but don’t go overboard. 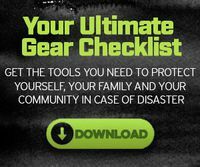 Take a reasonable amount of time and invest in the self-defense tools you feel most comfortable to use, familiarize yourself in their use and keep at least a couple of spares of each item (if you can manage it) handy wherever you can.